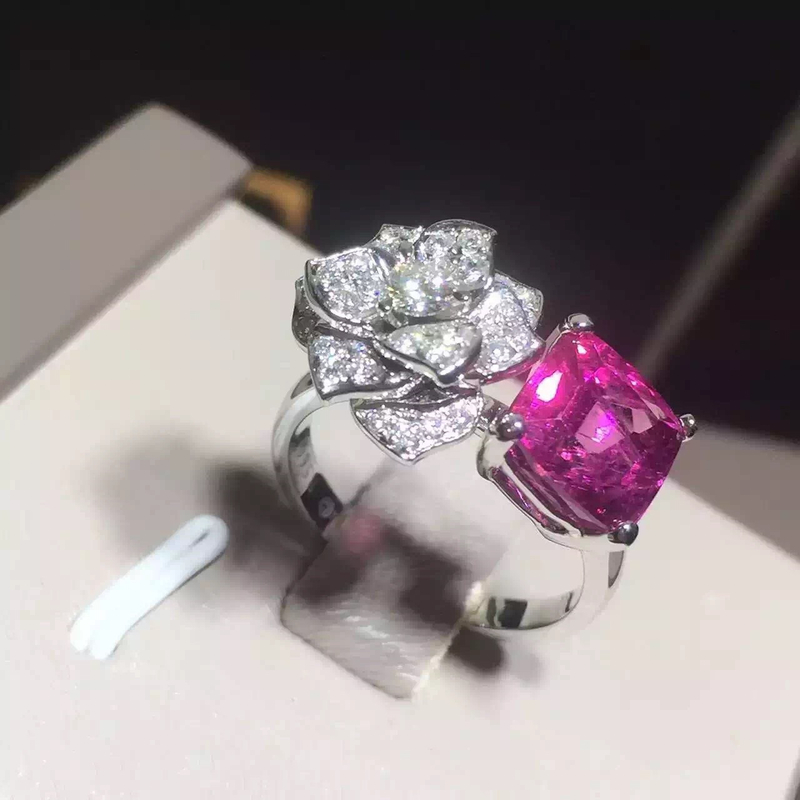 Piaget Rose white gold flower ring set with a pink tourmaline and diamonds. Surrender to the natural beauty of the Piaget rose with this glamorous white gold and diamond ring. 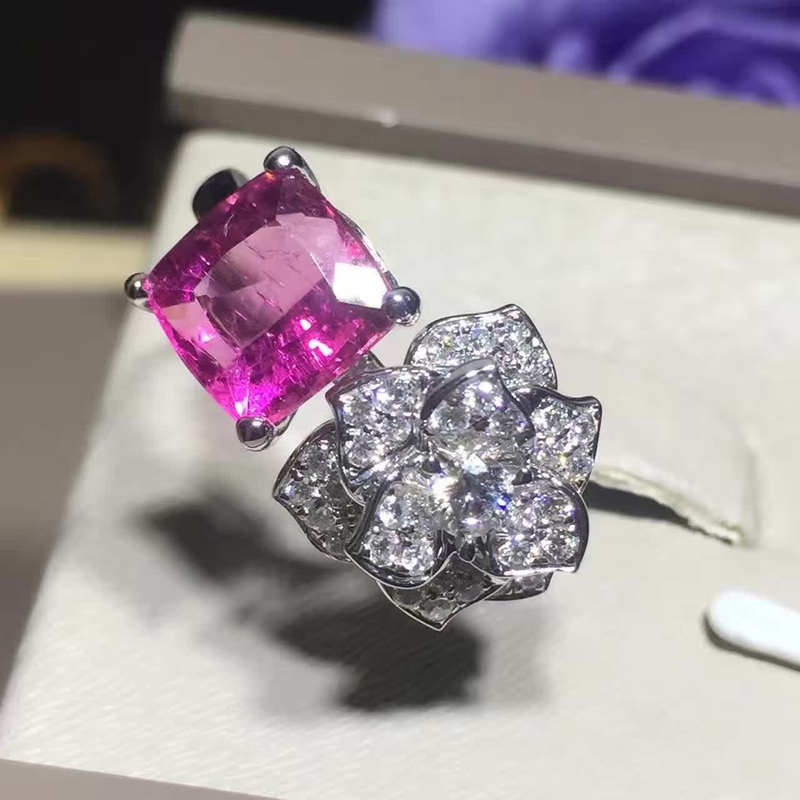 In a game of seduction, a voluptuous white gold flower and an intense pink tourmaline come together to tenderly wrap her finger with floral elegance. 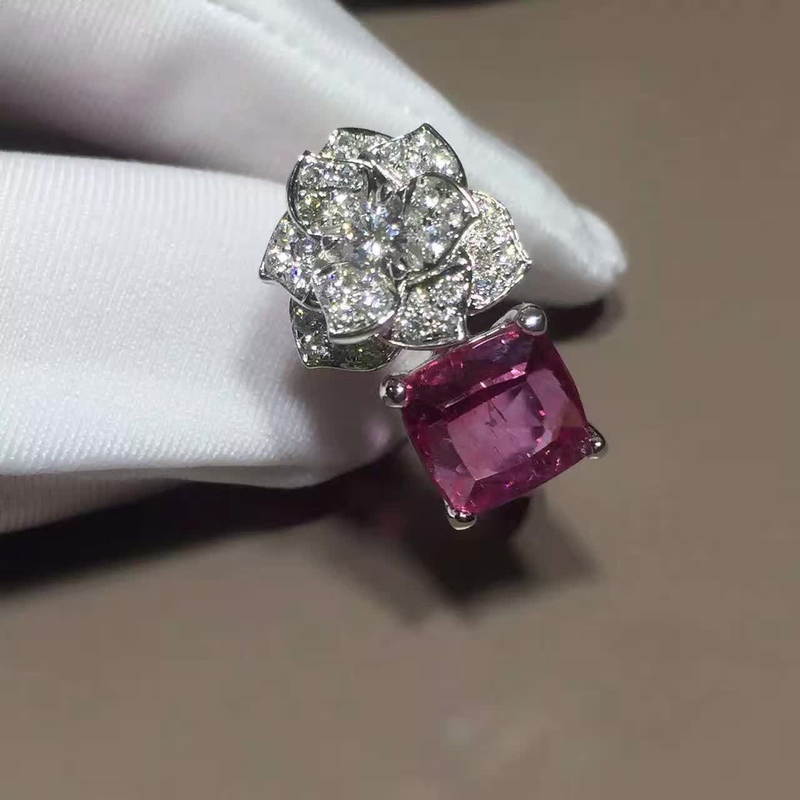 The intensity of the pink tourmaline evokes the fiery passion of true love. 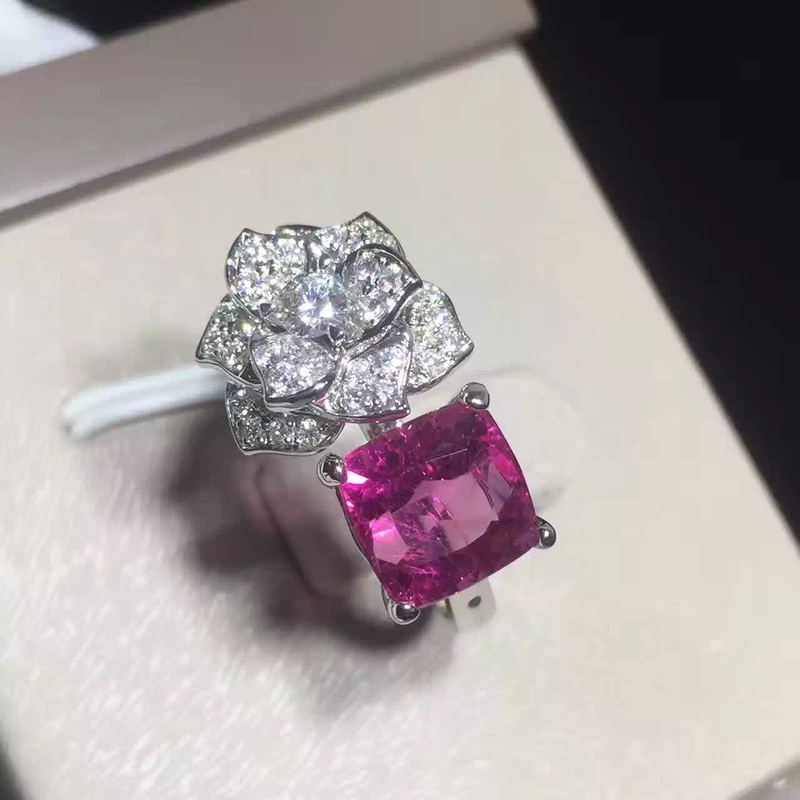 An attractive creation inspired by Piaget High Jewelry creations, this luxury ring is a radiant ode to the irresistible charm of the Yves Piaget rose with its luscious gold petals and diamond center.